1. Johnson and Johnson Baby Shampoo contained quaternium-15, a formaldehyde releasing preservative. Since this information went public, they have revised their ingredients and removed it. 2. Huggies Clean and Go Wipes rate at a 5 on the hazard scale (out of 10). 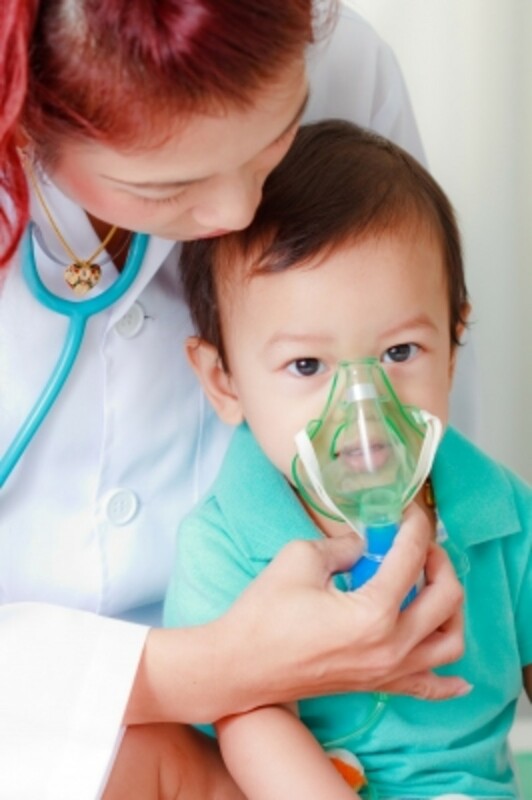 The reasoning behind the rating is that they can cause allergic rashes, immunotoxicity, and toxicity of the organ system. Since the birth our my daughter we have probably went through 5000 plus wipes. The price adds up after a while, and as they grow, it seems like you need more wipes, so the price stacks up even faster. Finally, I got creative, did a little research on the internet, and came up with a cheaper alternative to store bought baby wipes. Previously, we used Huggies with Aloe Vera and they seemed to be doing an okay job, but my daughter would tense up every time we wiped her bum. I didn't think about the possibilities until later, but when I was doing my research I came across some unpleasant information. Some big name baby wipes include ingredients such as benzyl alcohol, citric acid, malic acid, and a very long list of other scientific names. My theory is that if I can't pronounce the ingredient, or have no idea what it is, it probably shouldn't be anywhere near my baby's behind. But, this could be me being a protective mommy. Anyway, I came up with an alternative that is not only cheaper, but I think safer. There are a lot of variations and you can pick and choose what you choose to use. 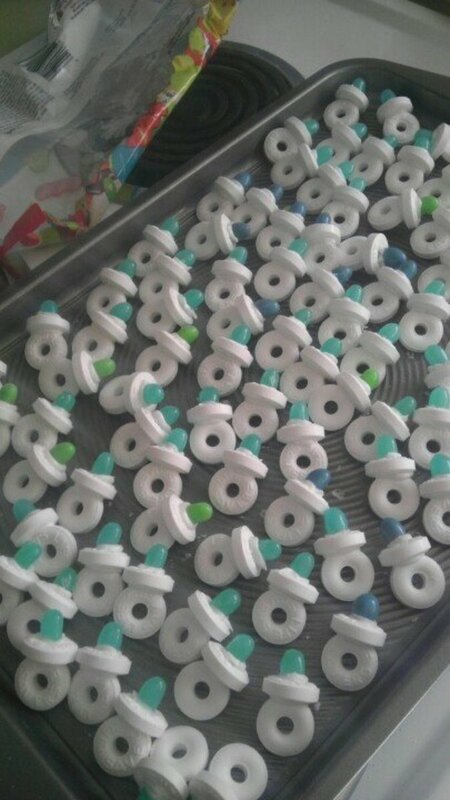 I went with what I had on hand at the time, but since then I have revised a few things and changed brands of baby soap. Again, these can be revised. Another, more natural version uses witch hazel, pure aloe vera, castille soap, olive oil, and vitamin e. It is up to you. 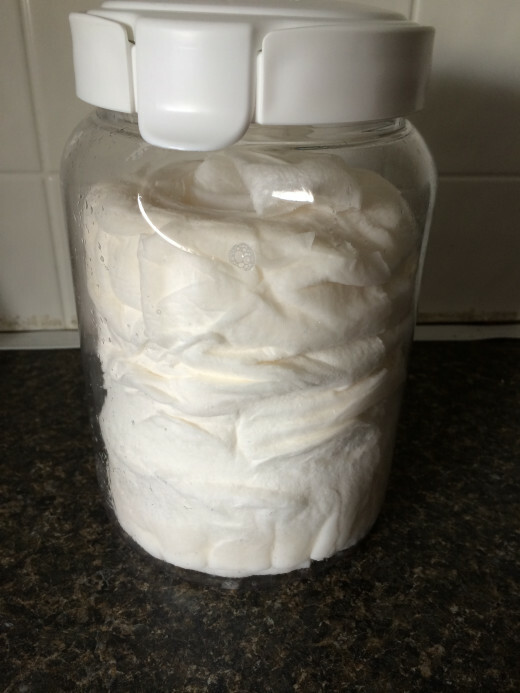 I have no problem with the Aveeno Natural products and my daughter has taken to these homemade baby wipes with ease. 1. Cut the paper roll in half, making two smaller rolls. 2. Put one half of the paper towel roll in the airtight container. 3. Mix distilled water, soap, and baby oil together in separate bowl or container. 4. Pour the mixture over the roll of paper towels and let sit for 10 minutes. If possibly, flip the roll and let it sit for another ten minute to make sure the mixtures is soaked all the way through. 5. Grab the cardboard center and pull it out of the roll. The first of the wipes should come up with it for easy access and use. 6. Seal and store in a dark place. 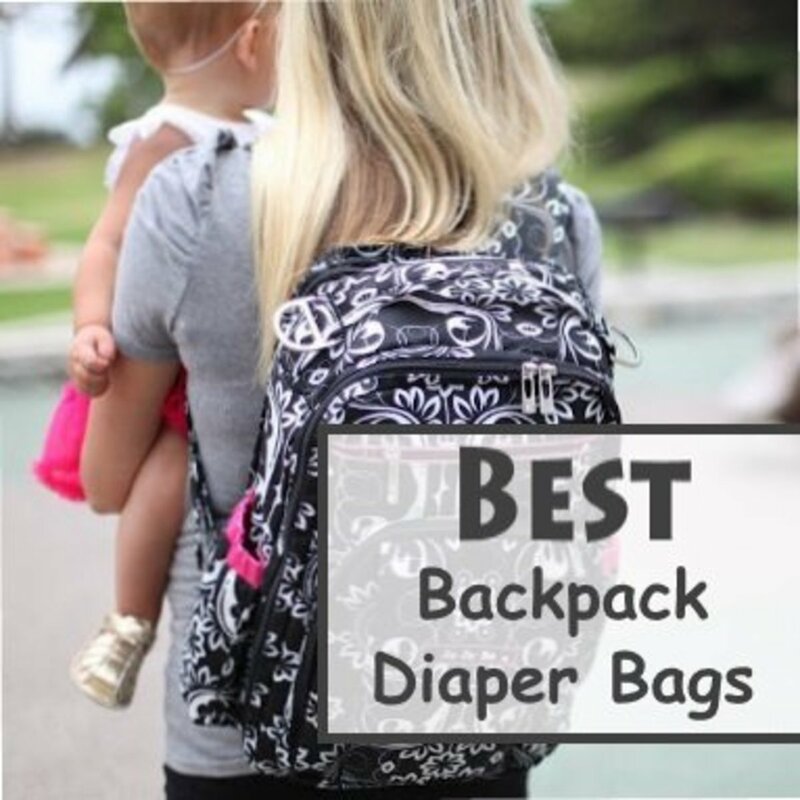 (Mine don't last long because I use them to wipe my daughter's hands, face, bum, and occasionally the coffee table. So, I can't be specific on how long these will remain moist or if they can "go bad". Just pay attention and keep out of direct sunlight or extreme heat. The first reason I switched was because store bought wipes are expensive and I was on the hunt to find DIY projects to save money. 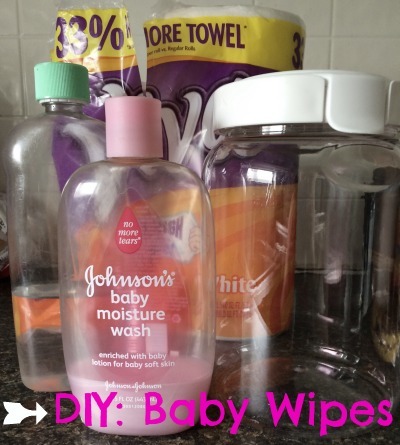 These DIY baby wipes were much cheaper, I already had everything on hand, and I needed wipes. Let's face it, as moms, sometimes we have to improvise in multiple situations. This was one of them. The second reason I chose to make these was because I had read a disturbing article about the preservatives found in store bought baby wipes along with a long list of alcohols and acids. I know rubbing alcohol burns my face when I use it, and I assume it does the same for my daughter's bum. I have continued to use these because my daughter seems much more relaxed. They don't seem to bother her as the Huggies wipes did. She used to tense up, squint her eyes and try to close her legs and more or less, push me away. Now, she lays still and remains calm throughout the process. If anything, it has given me peace. 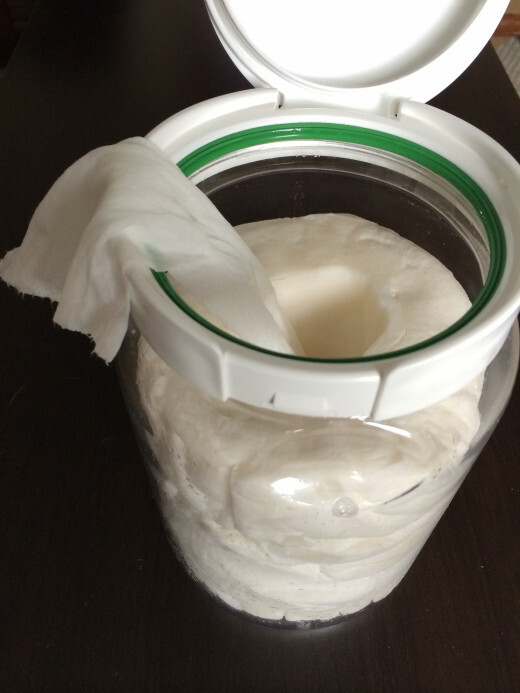 Would You Try Using and Making These Wipes? I realize that there could be some disagreement on this article and recipe. Johnson and Johnson has been under flame for their use of preservatives in baby products and there are a lot of people who have thrown their J&J baby products out. I have not done this. I still use some of Johnson's products because they seem to work fine for my daughter. In fact, I have used baby oil for years to remove my eye makeup. Clearly, I do not use all natural or organic products. One, I don't have the money or the stores to purchase these items. Two, I have used these products since she was very little and she does not seem to have any adverse effects to them. For a while I used Johnson's Baby Lotion, but due to her dry skin and irritation, I switched to a thicker, heavier lotion. 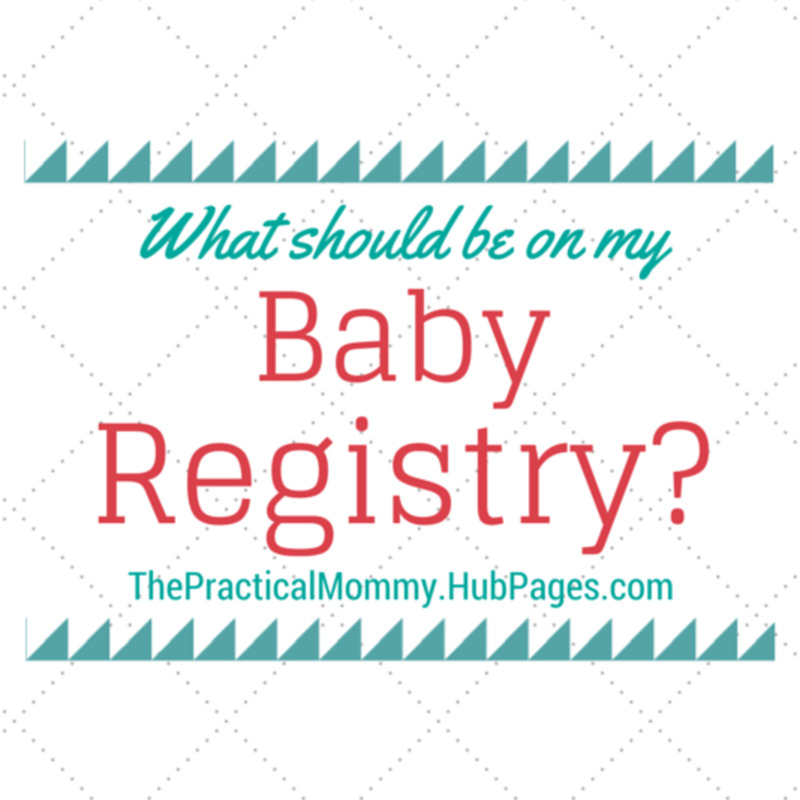 I am not telling anyone how to bathe their baby, or what to use. Everything about being a new parent is an experiment and you have to find what works for your child. I would never recommend a specific product for a child, because all children are different and have different levels of sensitivity. So, use what works for you and your baby. What exactly are u cutting these paper towels with Thad the only thing I'm having a problem with especially when my husband isn't around to help me out. Other than that this is an awesome idea and I've been using these homemade wipes for awhile and the keep all 3 of my kids extra clean and rash free, since they have such sensitive skin. Thank you Joshua! Haha, I wish I could figure out a diaper trick. They are so expensive, and with twins, oh my! Hey! This post is TOTALLY AWESOME! I love this idea lol. We have twin girls who are 1 and OMG at the baby wipes they go through! If you have more posts like this you should totally consider starting a website of DIY projects and advice for parents. LOL Do you have a DIY disposable diaper tip? I think I bought the CEO of Huggies a new car this year.